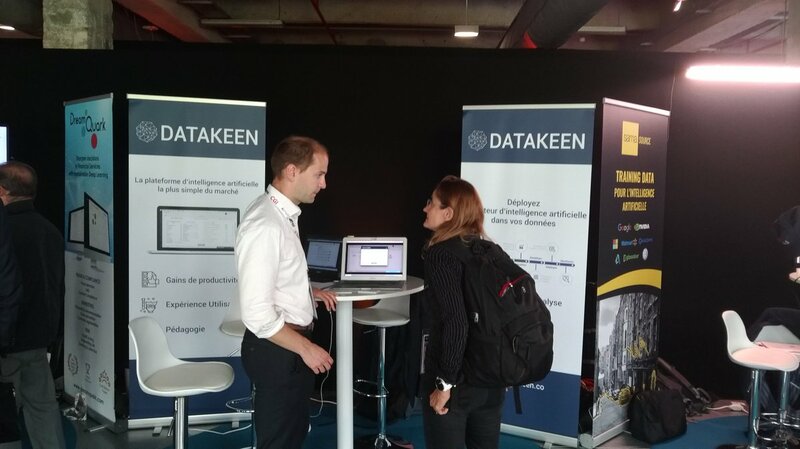 Datakeen was present at the 2nd edition of AI ​​Paris, an exhibition specialized in Artificial Intelligence. During this edition we presented the latest version of our platform, used by data teams and business departments of companies of all sizes, large corporations as well as SMEs. Datakeen’s IA is used, for example, by Customer Relations Departments to better qualify and address customer returns, but also by Risk Departments to detect and prevent fraud cases.